When life in the forest begins to change, when trees mysteriously lose their branches, when whole tree trunks start to disappear, when homes are lost… the only course of action for the forest dwellers is to begin a full scale investigation. Alibis must be proven and clues must be sought, but even so, blame is never far from anyone’s thoughts. Who is the perpetrator of this heinous crime? Will justice ever be done? 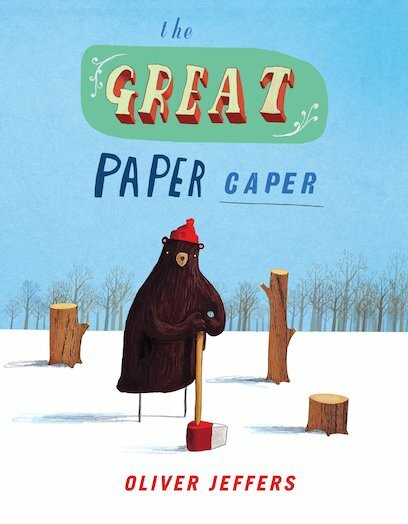 From the magnificent Oliver Jeffers, this provocative and unusual book examines themes of environmental protection with wry humour.